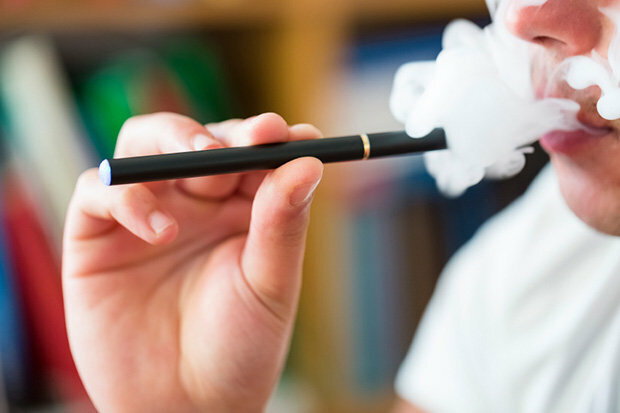 The study compared tobacco use initiation among 222 students who had used e-cigarettes, but not combustible tobacco products, and 2,308 who had neither used e-cigarettes or combustible tobacco products when initially surveyed at the start of ninth grade. During the first six months after being surveyed, 30.7 percent of those who had used e-cigarettes started using combustible tobacco products, such as cigarettes, cigars, and hookahs, compared to only 8.1 percent of those who had never used e-cigarettes. Over the following six months leading into the start of 10th grade, 25.2 percent of e-cigarette users had used combustible tobacco products, compared to just 9.3 percent of nonusers.